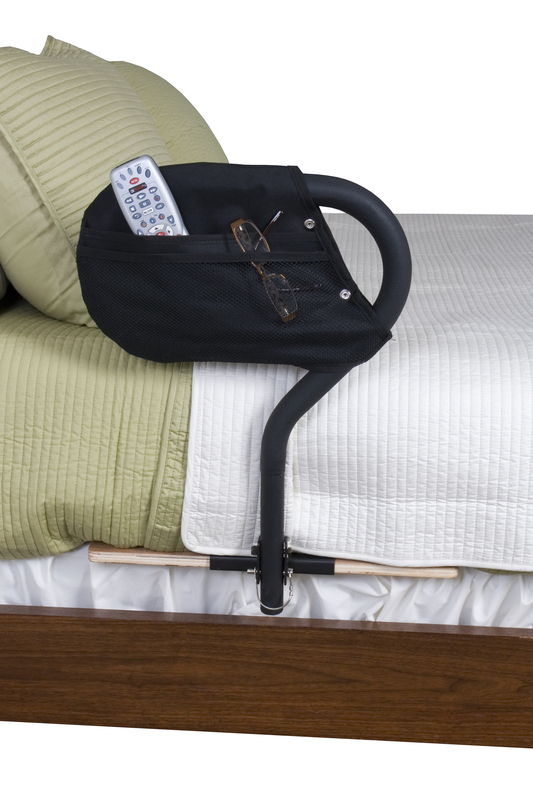 The Stander BedCane is a one of a kind bedside safety handle that allows its users to transfer in and out of bed safely. The ergonomic, no-slip handle provides a low profile, comfortable grip and is adjustable in height for maximum comfort. The wooden platform provides a strong and steady hold for safety and peace of mind. The BedCane comes with a bonus organizer pouch to help keep valuables close by during the night. 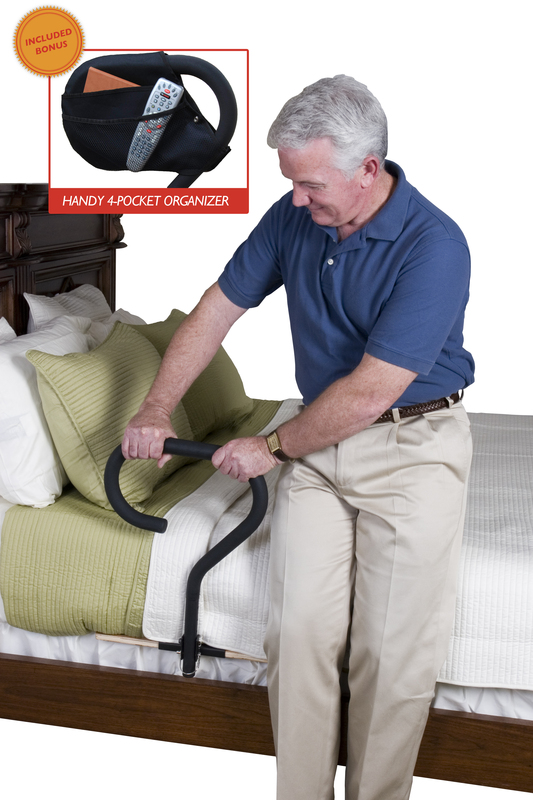 The BedCane also comes with a safety strap that attaches to the bed frame for additional stability. It’s perfect for most home and hospital beds.